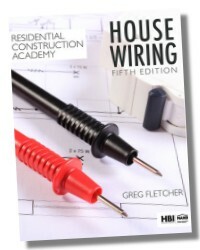 RESIDENTIAL CONSTRUCTION ACADEMY: HOUSE WIRING, Fifth Edition, delivers a proven approach to learning the latest and best practices in residential electrical wiring. 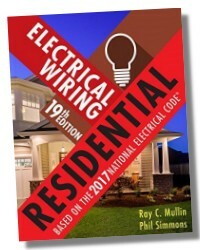 This vividly illustrated, full-color text is based on the Home Builders Institute (HBI) National Skill Standards relevant to achieving a first job as a residential electrician. 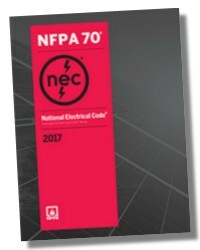 The text provides in-depth coverage of key topics such as safety, hardware and materials, tools, meters, print reading, and common residential wiring practices, providing a wide-ranging, highly practical introduction to today’s industry. In addition to chapters devoted to “green” wiring practices and installation of solar photovoltaic (PV) systems, coverage of green topics and sustainable building practices is integrated throughout the text. End-of-chapter review questions reinforce chapter content and encourage development of critical thinking skills, while task procedures help students gain proficiency in applying their knowledge and skills to key professional practices. "From Experience" sections address common residential wiring practices and scenarios, and “Caution" boxes throughout the text emphasize the ongoing importance of safety in every stage of wiring installation. Extensive glossaries in both English and Spanish are included, providing a useful reference to industry terminology and other key concepts. 2. Hardware and Materials Used in Residential Wiring. 3. Tools Used in Residential Wiring. 4. 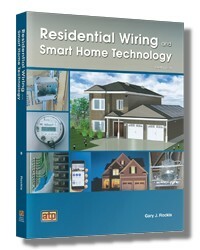 Test and Measurement Instruments Used in Residential Wiring. 5. Understanding Residential Building Plans. 6. 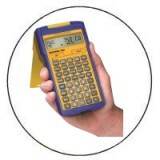 Determining Branch Circuit, Feeder Circuit, and Service Entrance Requirements. 7. Introduction to Residential Service Entrances. 8. Service Entrance Equipment and Installation. 9. General NEC® Requirements for Rough-In Wiring. 15. Special Residential Wiring Situations. 16. Video, Voice and Data Wiring Installation. 20. Checking Out and Troubleshooting Electrical Wiring Systems. 22. Solar Photovoltaic (PV) System Installation. 896 Pages - 8-1/2 x 11 in. Gregory W. Fletcher is chairman of the Trades and Technology Department and director/instructor of the Electrical Technology program at Kennebec Valley Community College in Fairfield, Maine. With more than 30 years of experience in the electrical field, he has taught electrical wiring practices at the secondary level, apprentice level, and post-secondary level. Licensed since 1976--first as a Journeyman and then as a Master Electrician--Mr. Fletcher holds an Associate of Applied Science Degree in Electrical Construction and Maintenance, a Bachelor of Science Degree in Applied Technical Education, and a Master of Science Degree in Industrial Education. In addition, he is a member of the International Association of Electrical Inspectors and the National Fire Protection Association.